For the MedicineMans not stuck on 85. 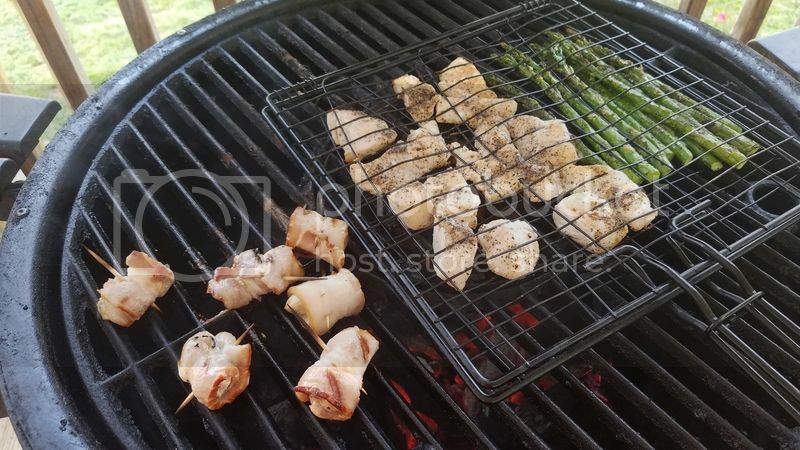 Bass nuggets , asparagus , and bacon wrapped oysters. Where's the rest of the food for everybody else? fit to eat. 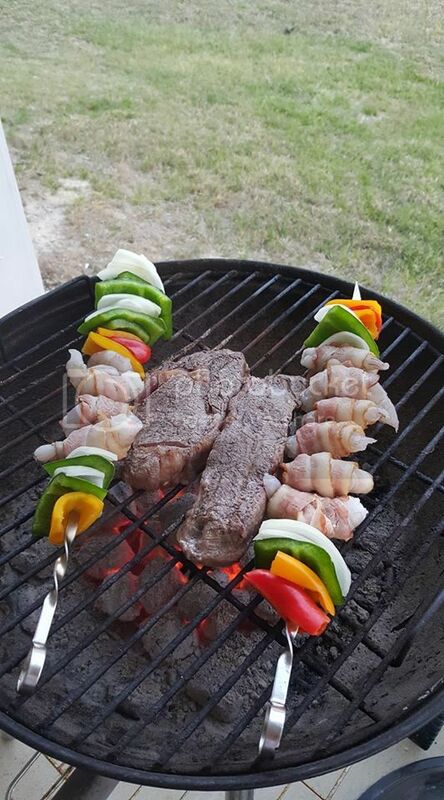 grass fed rib eye and ny strip steak and some grilled bacon wrapped skrimps with peppers and onions. Last edited by Gimp : 04-13-2017 at 10:50 AM. Looks great man. Peppers are always welcome.